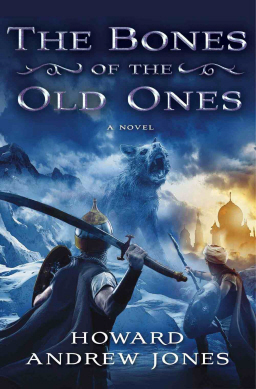 The Bones of the Old Ones will be released in hardcover on August 21, 2012, with a cover by Stephen Stone. This will be the third book chronicling the exploits of Dabir and Asim, Arabian adventurers par excellence, following The Desert of Souls and the short story collection The Waters of Eternity, released in Kindle, Nook and iBook format on November 22. Tomorrow is the release of The Desert of Souls in trade paperback — a perfect chance to job on board if you haven’t already. Don’t miss out on one of the most exciting fantasy debuts in years.